Boxers who excel in Day Three (Tonight) of the Fist of Fury league stand the chance of receiving high grade cellular phones from Hisense and Techno, Lawyer Moses Foh Amoaning, consultant of the competition has promised. The former Ghana Boxing Authority boss said at the pre-tournament press conference that the gesture is to reward excellence in his quest to revive boxing in the country. He admonished the boxers and their trainers to esteem punctuality and report for bouts on time. The Bukom Boxing Arena will host the third in the series of the Fist of Fury Fight Nights, which pits George Ashie aka ‘Red Tiger’ against Korley Collison, while Ben ‘Congo Soldier’ Ankrah face Felix Ajom popularly referred to as ‘Alvaro’ for the Professional Boxing Council (PBC) Ghana and West African title. In other bouts, Isaac Nettey will battle Richmond Commey for the national featherweight title with new kid on the block, John Laryea taking on a yet to be announced opponent from outside Ghana. 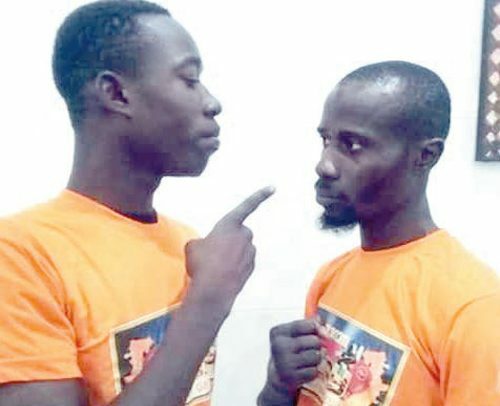 Meanwhile, the organizers of the Bukom Fist of Fury Boxing League will place Metro Mass buses at locations like the Pamprom near Kaneshie, Chorkor Lantey Maami, Mamprobi Abogwe and Korle Gonor in Accra to convey boxing fans to the Boxing Arena tonight. As usual, a weigh-in-segment preceded the bouts. The programme is sponsored by GNPC, ADB, TSEL and supported by all the boxing clubs.